First off where did January go??? I can not believe how fast it went.. I am loving the lighter mornings and evenings.. 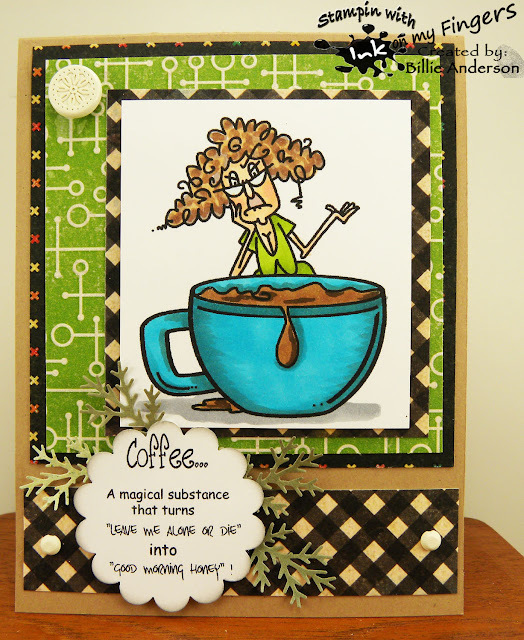 This is the sketch #402.. you can turn the sketch or use as is..
this is my card using the above sketch.. I used Johnny - music he's listening to his turns.. I wanted to use some bright colors on him and it plays well off the white and black. I used the music stamp from stamp Francisco and repeated the stamps. I then used a spellbinder die and cut it out.. 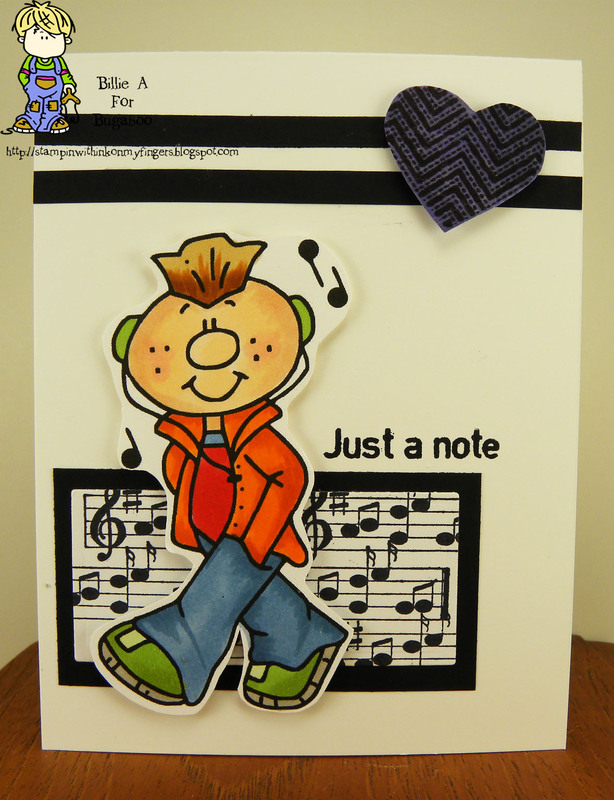 I used the Simon says stamp for the heart and sentiment. I hope you find time to play along.. you have a couple of weeks to get your card posted. 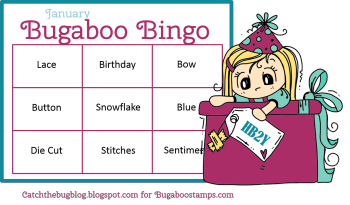 It's Friday and so Bugaboo has a Free Friday image.. You can see more of our cards using this image at Catch the bug.. Today's image is Ruby - I don't think so! 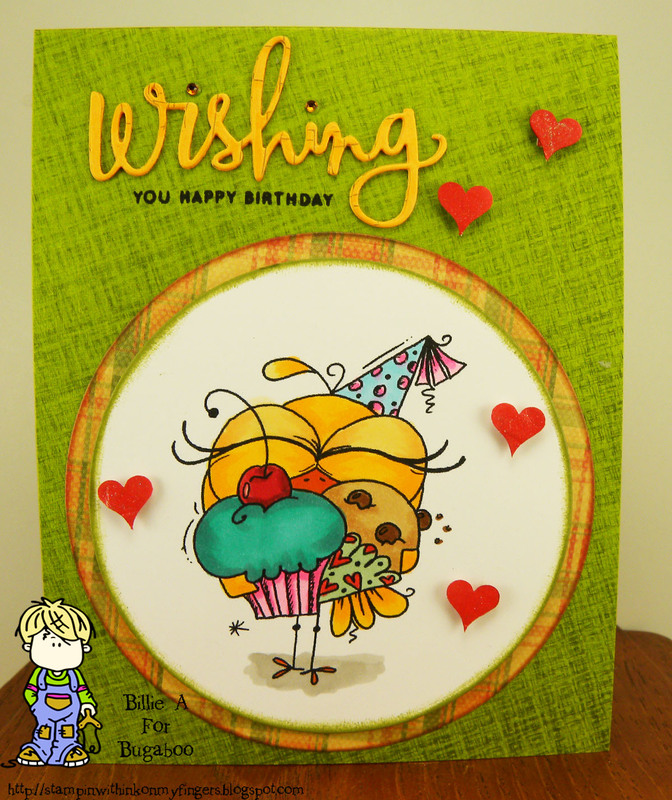 This is my card using WISHING YOU WELL image.. 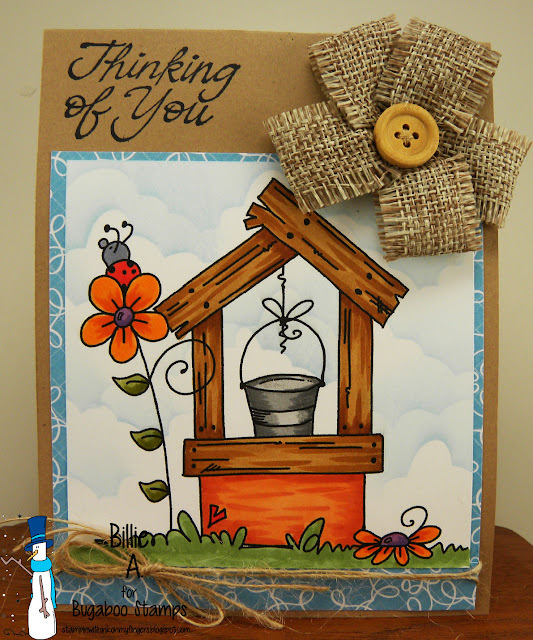 I thought it made a good thinking of you card. It could be a best wishes card, get well card.. lol.. I just kept it simple and fun. I like the burlap flower with the button. 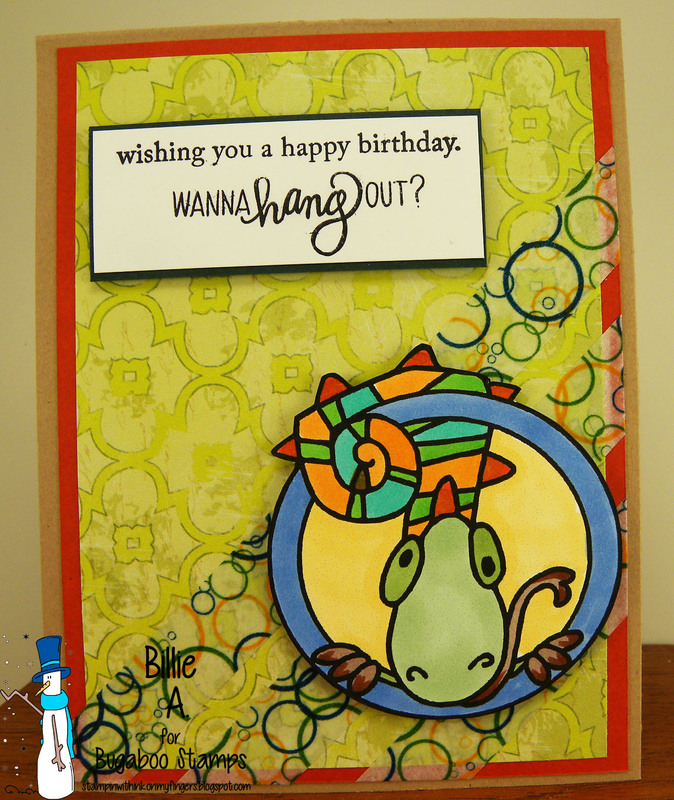 I got it a long time ago from my simon says kit and decided it was time to use it on this card. 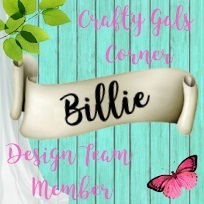 I added the jute thread below just to tie it all together.. 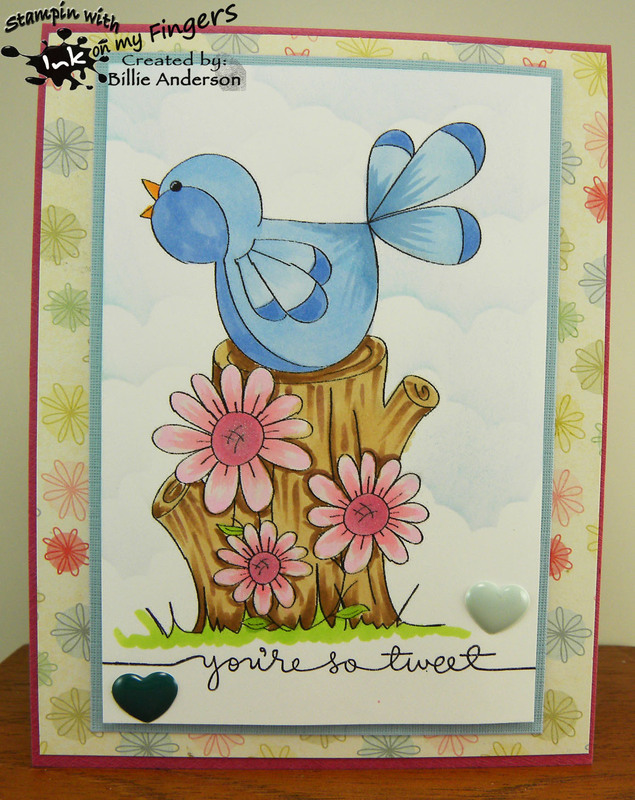 I am using the image called A little birdie told me.. I am so ready for spring and the flowers popping up and the birds singing.. It's been so wet here. I have to admit I would rather have rain vs. snow but still I want light, heat and flowers. I go to work and it's dark and come home and it's dark.. I used my cloud template and colored the image with copics. 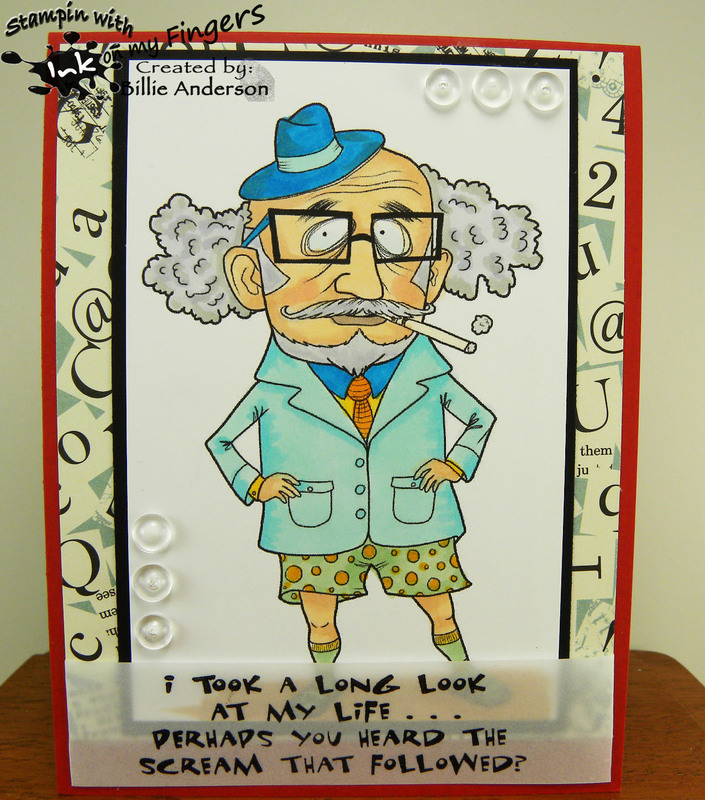 It was a fun card to bring to life. 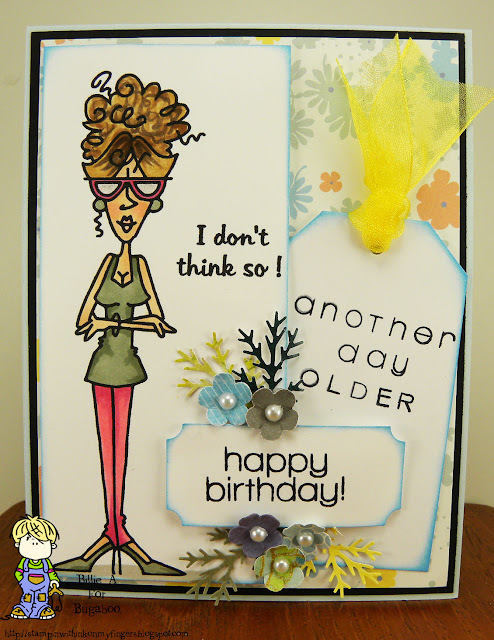 The sentiment was perfect for this card. 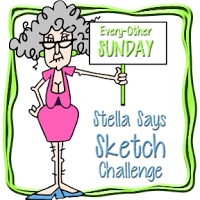 Welcome to another challenge at Inspiration Destination #70 - where it's ALWAYS ANYTHING GOES. 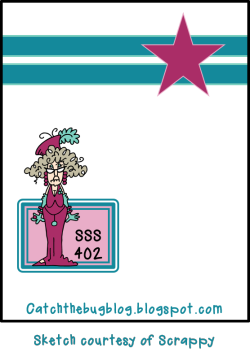 Our sponsor for this card is All Dressed Up.. This is Little skater by All Dressed up.. darling little girl.. I wanted this to be a winter birthday card. 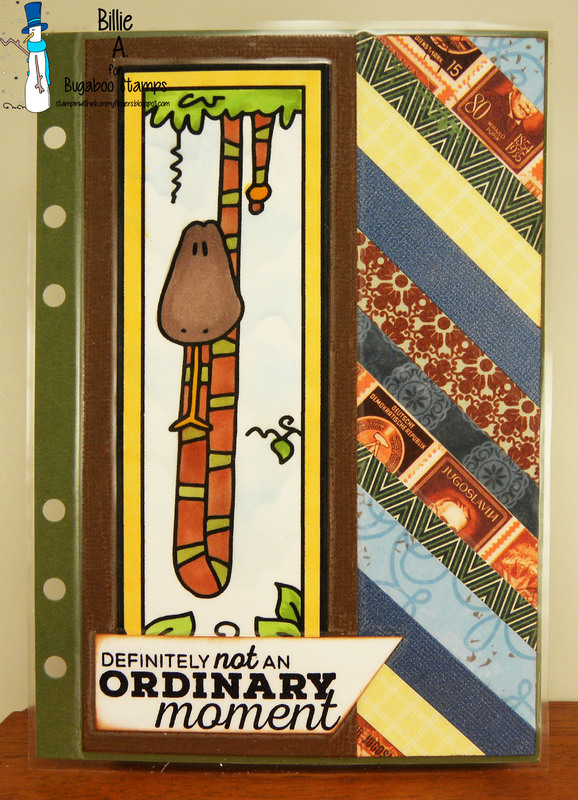 I stayed away from Christmas colors and went for the colors that are in this awesome ribbon that I have. 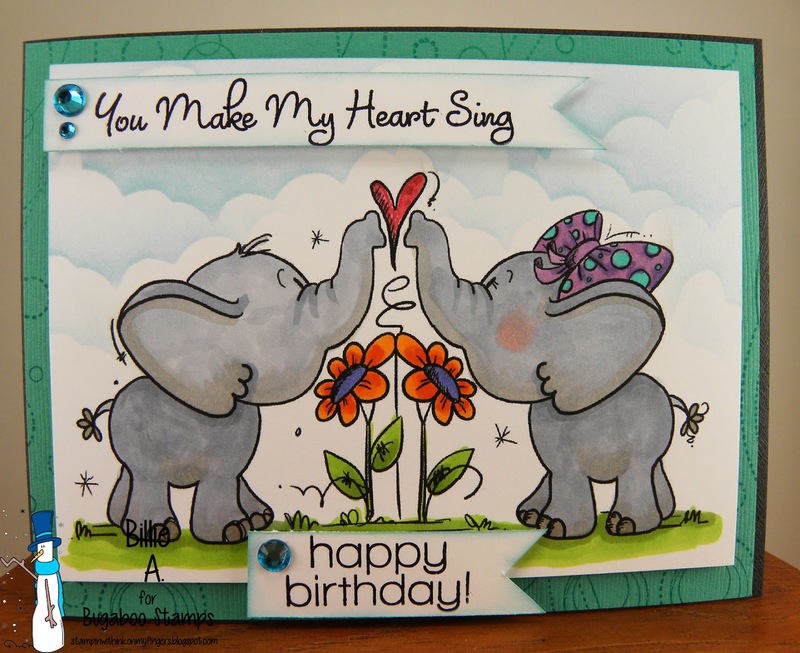 The sentiment is from Paper trey ink.. Fun card. 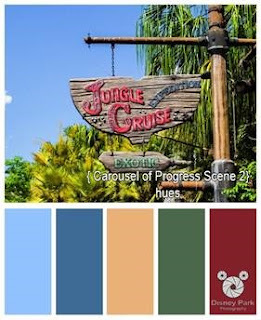 I hope you find some time to play along at Inspiration Destination.. 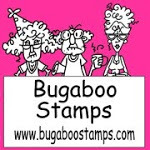 Welcome to Catch the bug / Bugaboo new release image day.. I chose to use one of the few images that are in the birthday bash chick set. This little cuttie caught my eye and so chose her.. I love those long lashes.. reminds me of my little dogs.. (if the groomer doesn't cut them they get quite long.) I had fun coloring her and bringing her to life.. I placed some hearts that I colored in copics and wink of stella glitter and added them to give some more awhhh to the card. Well it's day 7 of the Catch the bug 6th birthday bash. It's our last day of the birthday challenges. 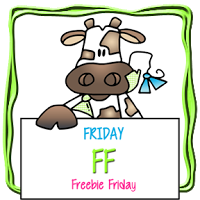 We have Free Friday and theme is below.. Make sure you follow the recipe. This is my card using the Free Friday - AKV HIPPO image.. 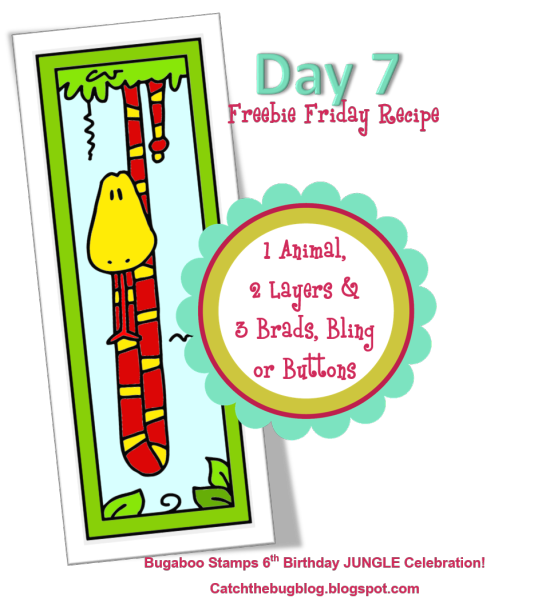 The recipe is 1. animal 2. layers 3. brads/bling/buttons.. and I kept it jungle theme using the animal banner and the background paper from DCWV animal crackers paper pad. 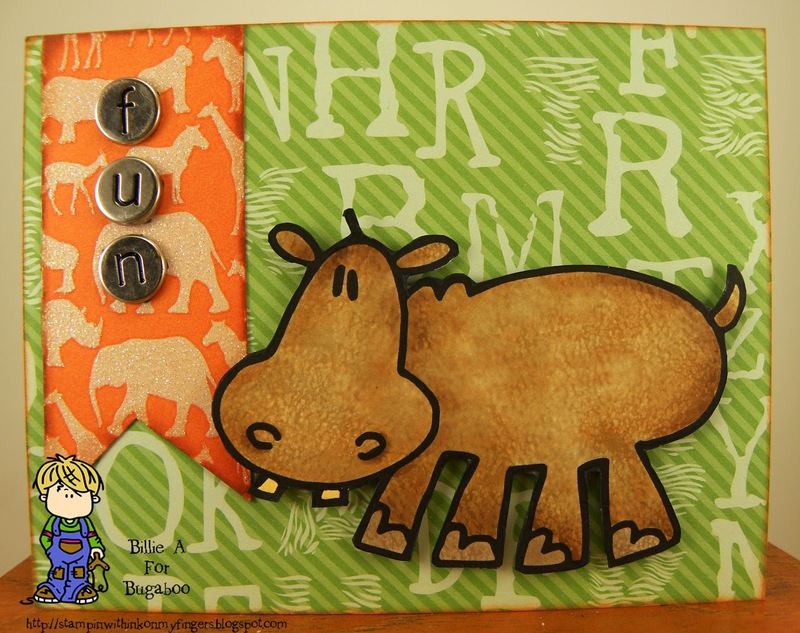 The brads are little letters and I spelt out FUN.. inside it will be a birthday sentiment.. I colored the image in copics and used the terry towel and copic 0 to give the hippo texture. recipe, green base su, dcwv designer paper, brads, qq distressing around edges. 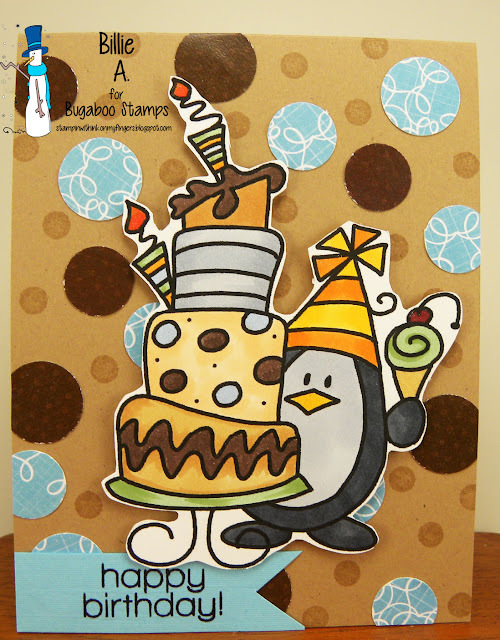 This is my card using the image called birthday penguin cake I added a lot of circles using various punches and then used my versa mark and pencil eraser to give the little dots. I colored the image with copics.. 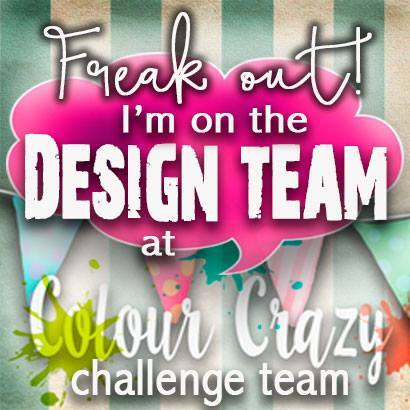 I hope you play along and you have been having a great time playing in each challenge. One more day to go and the our 6th birthday bash will be over.. 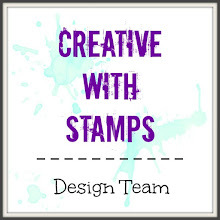 Welcome to another challenge at Aud Sentiments #147 This two week theme is ANYTHING GOES..
We do not have a sponsor this week but I did use Simon Says stamps and so wanted to this logo up so that if you were interested in the stamps you could check out the site for SS. The stamp set is called Color and sunshine.. For my card I used water color paper and white embossed the crayon.. Then I took my Kuretake Gansai paints and colored each one in.. Then just spritzed and colored the background. I dried it and then stamped the sentiment in Hero arts black and SS red .. 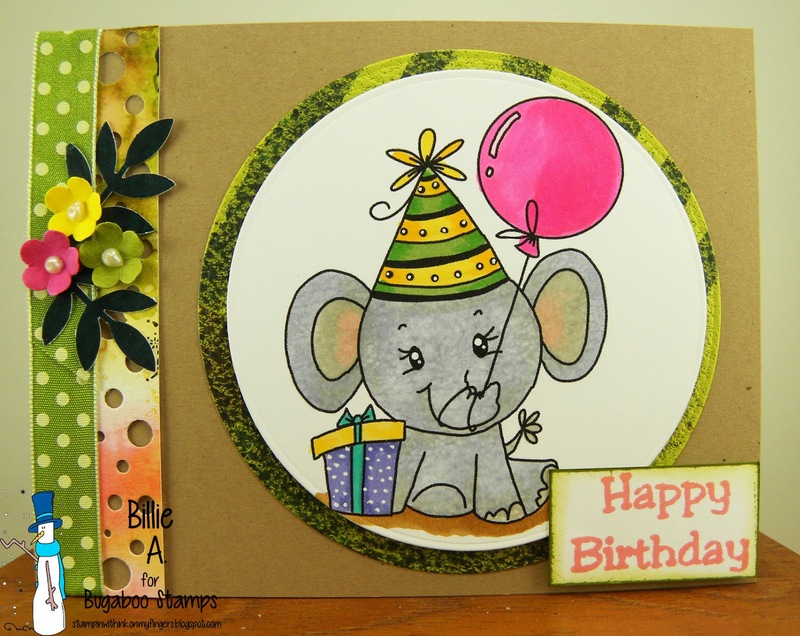 I used washi tape above and below on the card base then used foam tape and laid the water color paper down.. 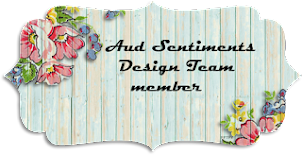 I hope you play along at Aud Sentiments and just remember to put your sentiment on the front or include a photo of the sentiment on the inside.. Have fun. 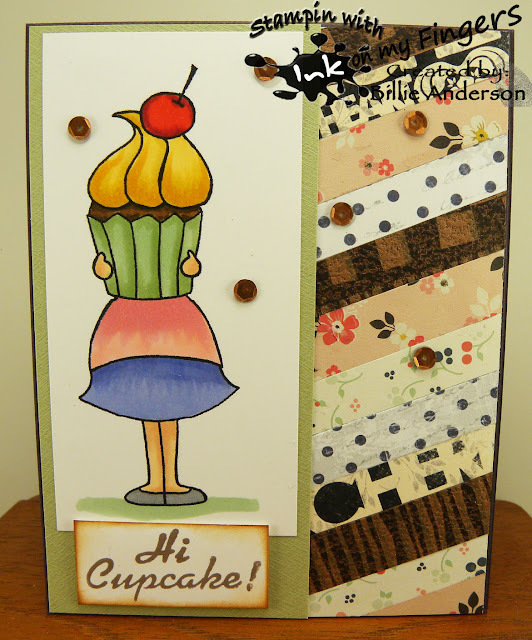 recipe: image simon says, club scrap base, washi tape, water color paper, kuretake paints, white embossing powder, ink ss. 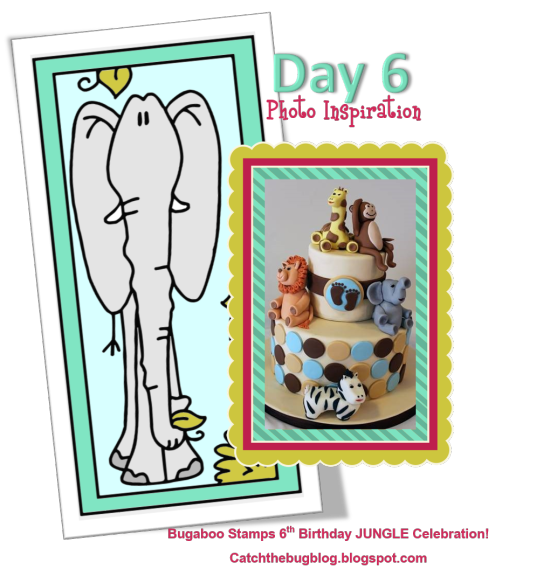 Day 5 of our 6th Birthday and today is Humor me Wednesday.. 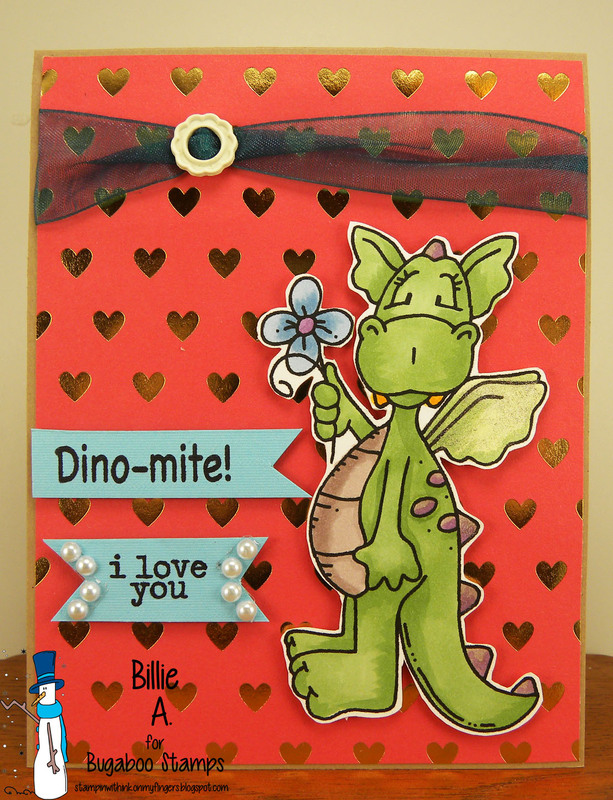 I am using the dragon image called cute dragon (I think he is Clyde) and I had this cute Dino-mite stamp from pink stamper and the I love you from Simon says. I think he is so cute and the expression on his face is funny. I added the heart designer paper for the background.. perfect for Valentines day and some ribbon and a stampin up ribbon ring. 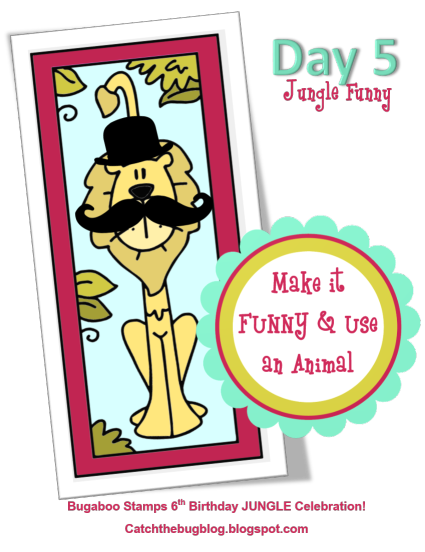 I hope I have inspired you to play along and use an animal and make it humorous. 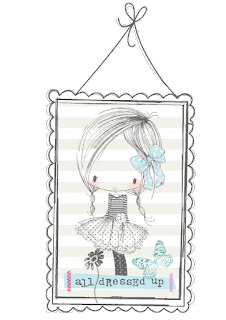 I am using the image called Belinda.. She is a little girl scout.. I was a brownie and then a girl scout many many years ago.. I still have my sash with all the badges on it and pins.. It's quite old. Probably an antique by now.LOL.. I put wink of stella on the balloons and in real they are so sparkly.. really pretty. I used washi tape along the two sides .. the color worked perfect with the card colors. This image is Cupcake for you.. Cute huh. I love that the cupcake is so big and just parts of her body shows. I chose to use some scraps and do my strips again and keep it girly but also adding browns. I love pink and browns together. I added a few sequins. Since it's Tuesday this day is always NEW RELEASE day.. and we have This new image called... Simple cute elephant .... and that she is... I used the third row for my bingo card.. Kraft cardstock.. Use 3 punches (hole punch ms, leaf punch ms, flower punch su) and die cut mft circles.... 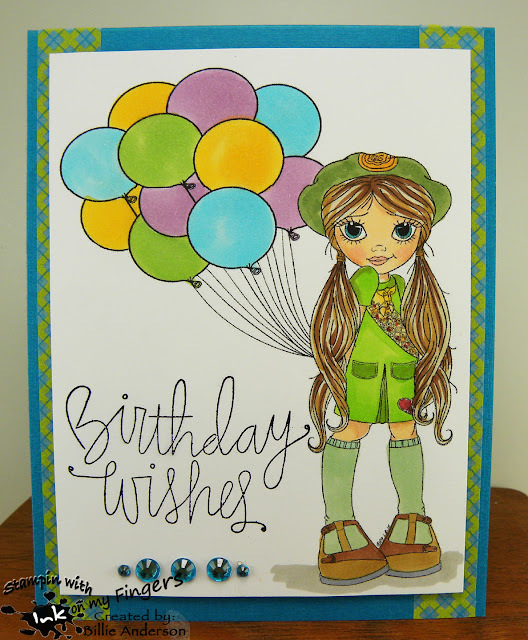 I colored the cute image with copics and then used a white gel pen to add dots to the hat and present. Viva pearl pen inside the flowers for the center. The happy birthday is an old stamp ?? the water color piece was a scrap from a larger piece I made and it was just sitting around on my desk.. ranger inks were use for the stamping and the watercolor paper colors. 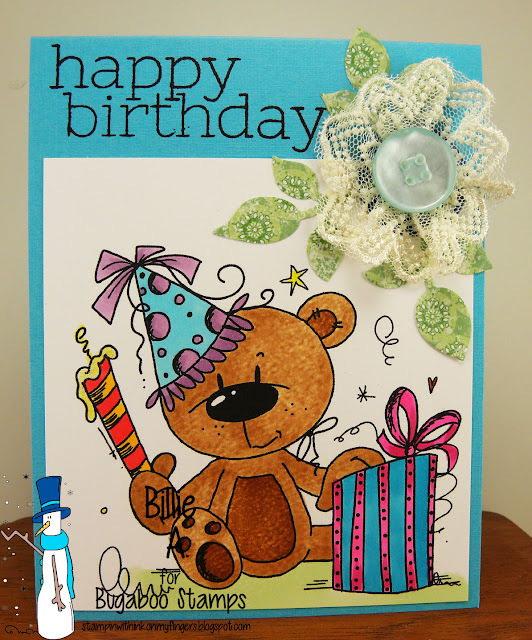 I finished with a dotted green ribbon just to give some more color to the card. recipe.. I pretty much said above what I used. 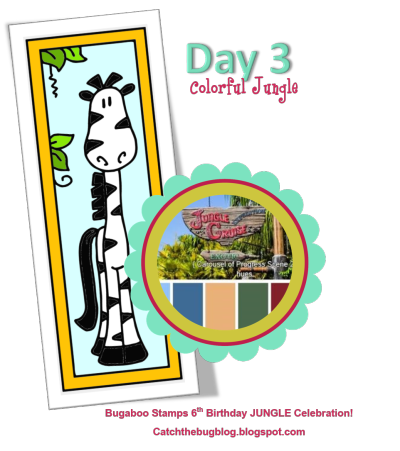 Welcome to day 3 of Catch the bugs 6th birthday..
Because Mondays at Catch the bug.. is ABC (anything but a card) and I am on the DT.. today is my assigned day so I made a journal page for one of my months cover page.. 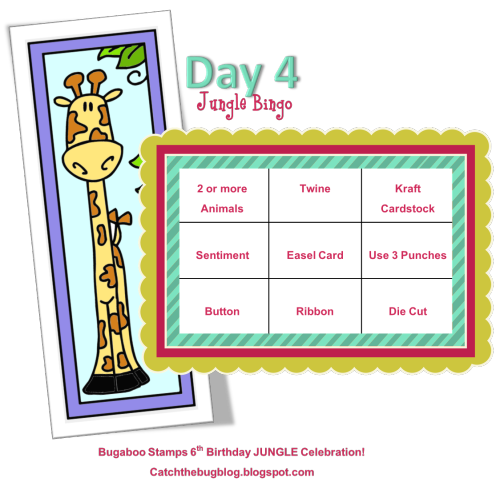 I used the image that comes in a mini set called tall jungle blocks.. I of course used the snake.. I used a lot of scraps I had for the colors needed. I had fun trying to find a sentiment .. not that you have to use one but I wanted something that went with this image. I chose this sentiment from Tech. 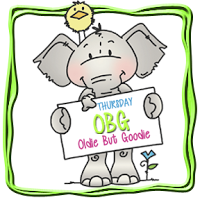 Tues. as it made me laugh as we always have those not so ordinary moments.. 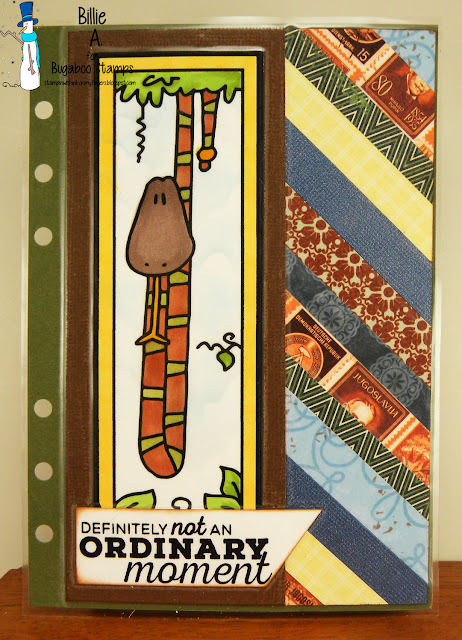 I colored the image and layered it on a brown scrap and then layered the whole piece on a piece of green so the back would look nice and then ran it through my Xyron laminator and punched the holes so I can put it into my Franklin Ava journal .. I love making these pages and being able to enjoy through out the year.. I will be making a lot more when my Monday mandatory day comes up.. 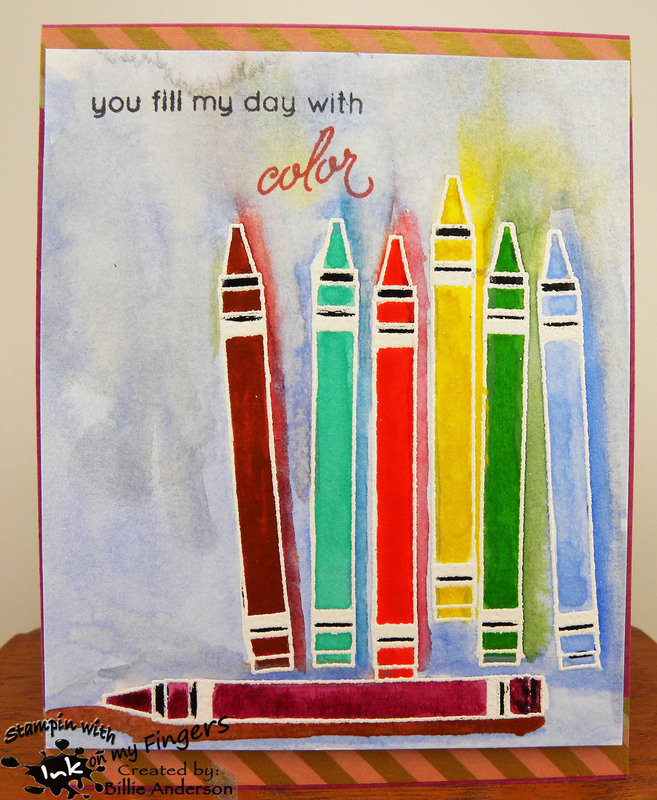 I hope you have fun playing along and remember use the colors above and make your card..
Our challenge today is a "SKETCH"
This is my card using the above sketch. I used washi tape for the stripes.. I have so much and need to use it more... along with a lot of other supplies. I am using the image called Chameleon small for the image. I had this awesome sentiment from Simon says for the wanna hang out? I thought with the chameleon hanging it worked.. It's Catch the bugs 6th birthday.. Yeah Happy Birthday to us. 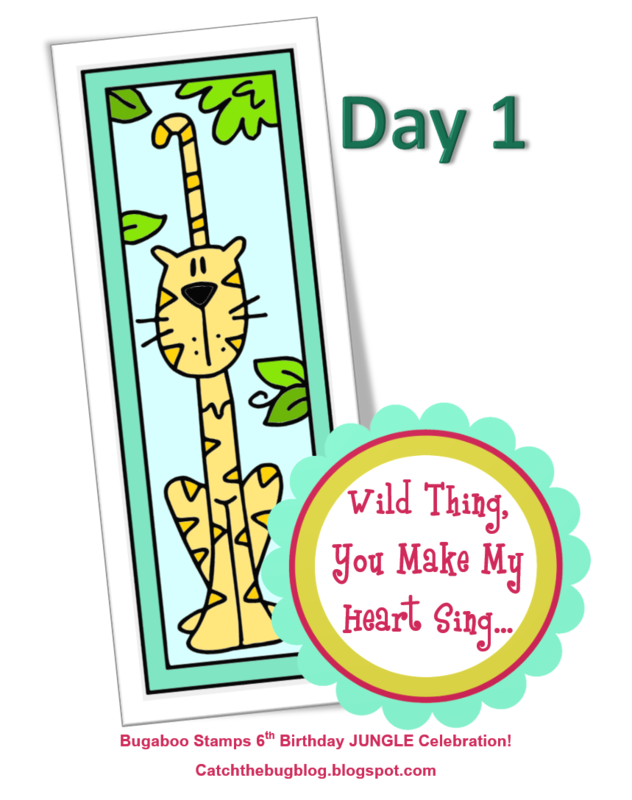 Our theme this year is Jungle/Zoo so dig out those jungle/zoo images and get ready to play along for a week of fun at Catch the bug..There are a lot of prizes to win and you can get the full details over at Catch the bug..
Todays theme is "WILD THING YOU MAKE MY HEART SING"
I am using the image called Elephant love as they look quite in love and I had this awesome sentiment from My Favorite Things which was perfect.. I hope you play along, as always it's a lot of fun and chances to win.. I hope you find time to play along and post your card over at Inspiration Destination. 613 Ave. create #158 - anything goes/opt. bd/anniv. 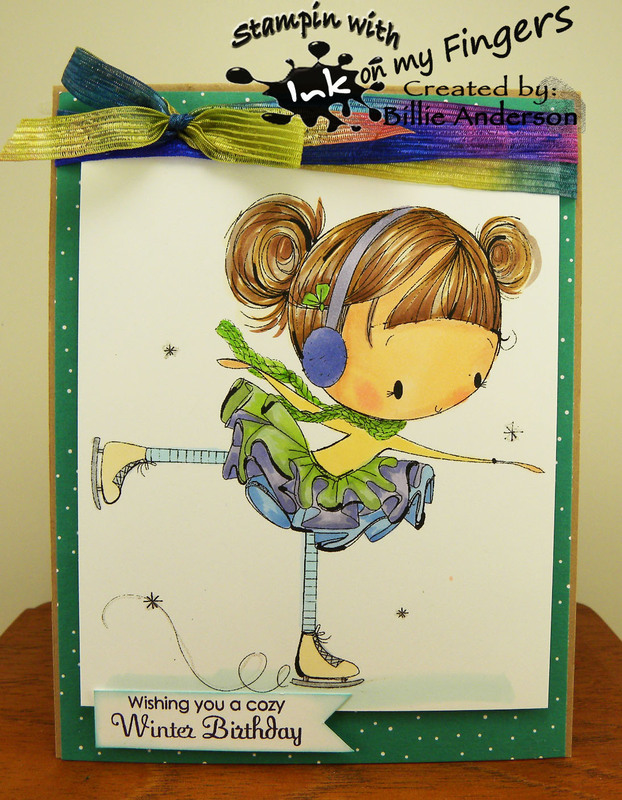 This is my card using the lovely sassy Stella.. This image is called Stella magical substance.. I think a lot of us can identify with this sentiment.. 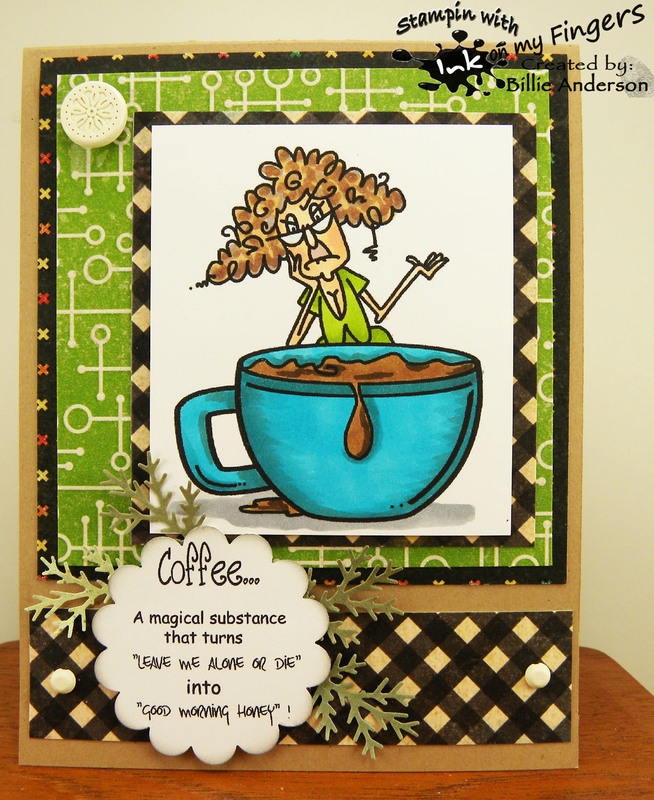 I really had fun making this card and coloring her up as I drank my magical brew.. I hope you find time to play along and post your card over at Inspiration Destination.. it's always ATG. 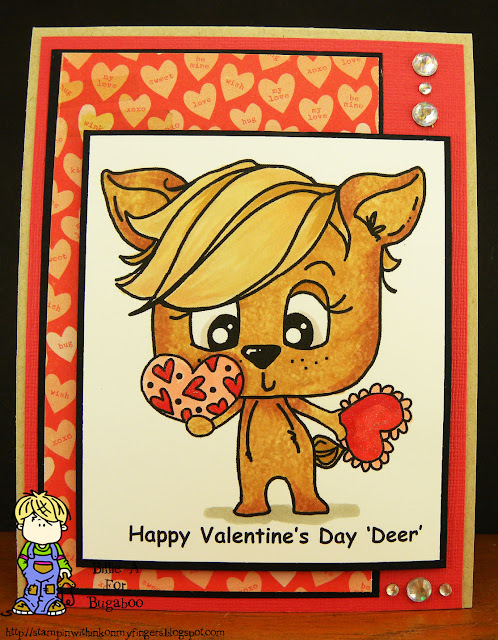 Today Tuesday at Catch the bug is NEW RELASE day and the NR is "Happy Valentine's day deer"
Wouldn't this make a cute valentines day for that loved one of yours.. Hubby, spouse, friend.. I love it. 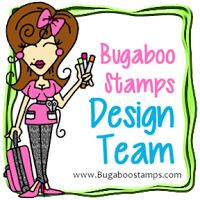 I hope you go over to the Bugaboo store and see some of the cute images Jodie has been drawing. For the texture on the deer I used the "0" copics on a small piece of terry towel and dabbed it on the colored image.. make sure you don't color anything else till you have done this technique or all that was colored will have this texture.